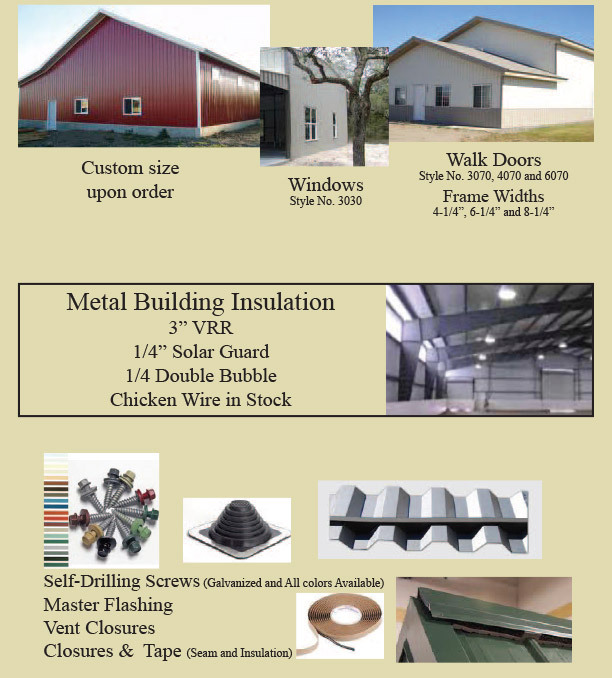 We offer all types of building components to complete your building. Below are some of our more common options. If you are in need of something that isn’t listed below, give us a call. If we don’t have it, we can get it.